I know I still haven’t finished recapping our Ireland trip from the fall, but I want to jump ahead to our most recent travels. Back in April Adam and I went to Louisville and Nashville for a long weekend (Wednesday-Sunday). We flew into Louisville, stayed one night, and then drove down to Nashville. Of course we did some exploring while in Kentucky and I want to talk about our first stop today - the Louisville Slugger Museum & Factory. Even if you aren’t a huge baseball fan (like me), you’ll still enjoy it. It’s so interesting to see the history of how bats are made and how quickly they can be produced now. 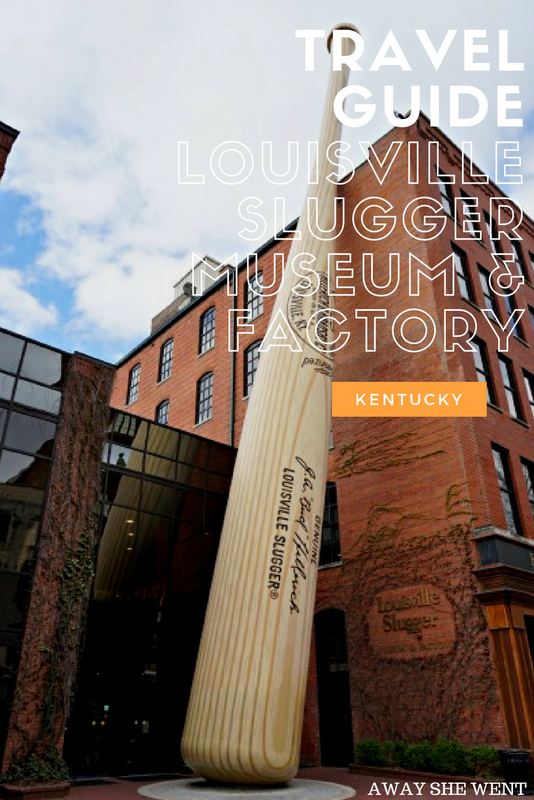 Admission to the Louisville Slugger Museum & Factory includes a guided factory tour, mini-bat, access to all of the museum area, and all of the interactive activities. We went on Thursday morning and it wasn’t very busy, so we had a lot of the exhibits all to ourselves. We arrived a few minutes before the start of the next factory tour, so we only had a couple minutes to explore before we had to meet our tour group. Tours depart every 10-30 minutes and they last about 30 minutes. No photography is allowed inside the factory, so I don’t have any of my own pictures to share. The tour was really interesting and it’s crazy how quickly and accurately they can produce bats now. They have a guy at the start of the tour demonstrating how they used to carve bats by hand and it’s crazy how much time and effort they had to put into producing bats back then. It was also interesting to learn about the wood used for the bats and the effort they put into caring for the forest where the lumber comes from. After the tour we received our souvenir mini-bats and we were free to explore the rest of the museum on our own. 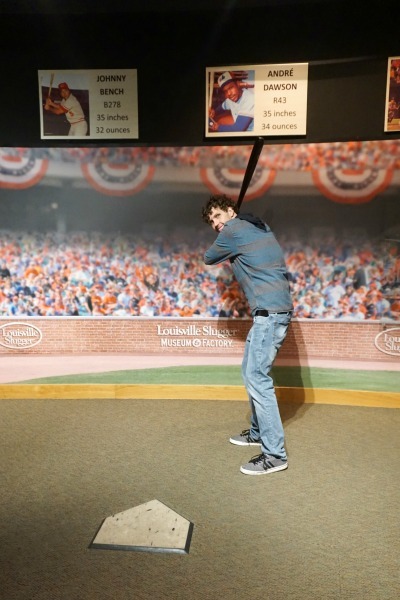 We checked out the main gallery of memorabilia, Adam posed with a game used bat from a Diamondbacks player (I can’t remember whose bat it was), and we checked out the fastball simulator. They also have batting cages and a pitching simulation game to play. The museum also had a special mini-exhibit on The Sandlot to celebrate the 25th anniversary of the movie (open until September 9, 2018). 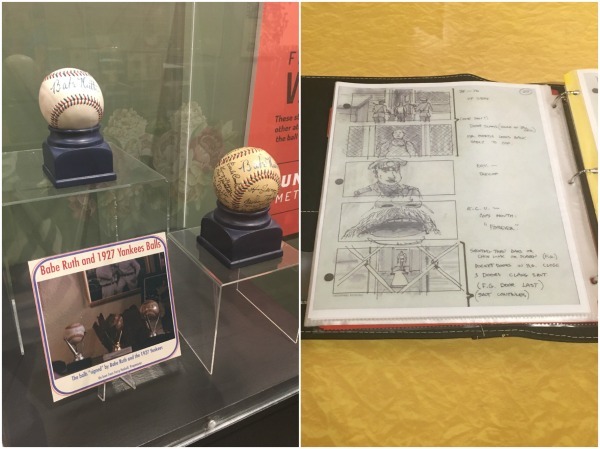 It included memorabilia from the movie (the Babe Ruth ball, Squints’ glasses, and the Wheaties box periscope from the treehouse), a binder of the hand-drawn storyboards, and behind the scenes photographs. I loved that movie growing up, so it was fun to see the items. Of course I had to find the storyboard from the FOR-EV-ER scene. There’s also a nice gift shop and everything seemed reasonably priced. I bought a magnet for our collection, an Angels mini-bat for my dad, and a Giants mini-bat for one of my friends. It’s the perfect place to buy gifts for any baseball fans in your life! We spent about an hour and half at the museum, including the factory tour. If you go during peak season or on a busy day, I would plan to spend about 2 hours there if you want to check out all of the exhibits and participate in the games/experiences. For more information on hours, admission prices, and current exhibits check out their website here. Parking on the street is VERY limited. There’s a city-operated parking garage directly behind the building. The elevator in the parking garage is connected to the museum too, so you don’t have to walk down and around to enter. If you’re in the area around lunch or dinnertime, I highly recommend eating at Doc Crow’s. We had dinner there the night before and the Derby Pie was probably the best dessert I’ve ever had…and I don’t even like pecan pie! It’s only about a half mile walk down Main Street too, so you can leave your car in parking garage instead of trying to find another place to park. My husband is a huge baseball fan and I think this would be the perfect trip for him. Thanks for the information! He would love it! 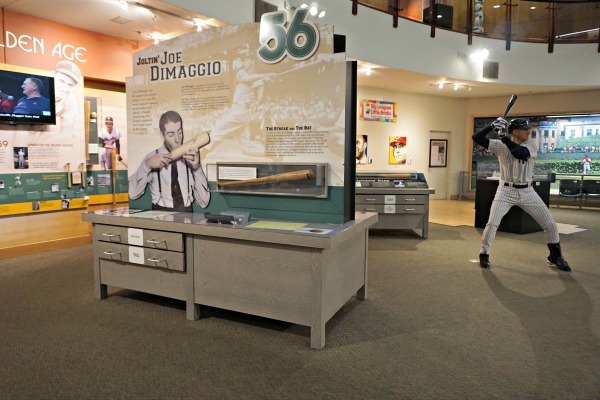 It's full of interesting baseball history and memorabilia! 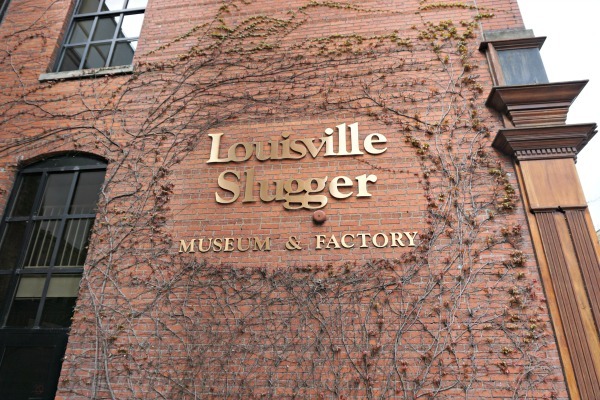 My parents lived in Kentucky for years but somehow I never made it to the slugger museum! If you're ever in the area again, you should check it out. It's a cool place to visit even if you aren't a baseball fan. 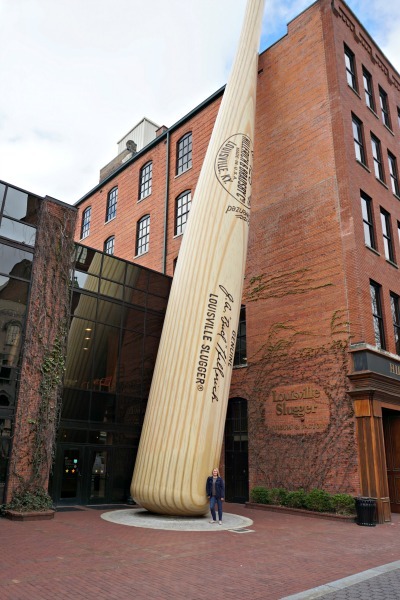 The Louisville Slugger museum is such a cool place. 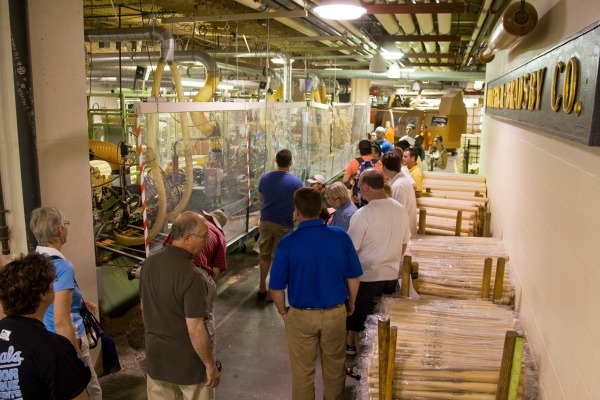 Seeing how a bat is made from start to finish is a great experience. Sounds like you guys had a great time! Yes! It's so crazy how quickly and accurately they can be produced! We've been to this museum TWICE and LOVE it! How fun! I would love to go again and take my dad. He's a huge baseball fan and would love to see it! This looks like a lot of fun! We’ve never been. 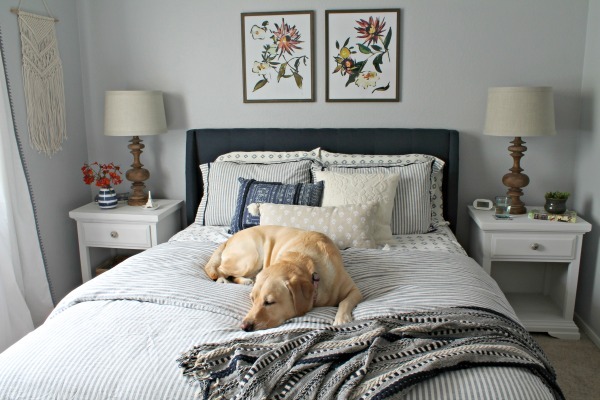 If you're ever in the area, you should check it out!